Located at the Lakeway Marina on beautiful Lake Travis, Nautical Boat Club® at Lakeway opened in April 2016. The Lakeway Marina is one of the nicest on the lake, offering a full-service fueling station, fully loaded ship store, and private/clean bathrooms. One of our most popular offerings is the extremely convenient access to the marina. We have a drop off area for equipment and crew that is just a few steps from our fleet! 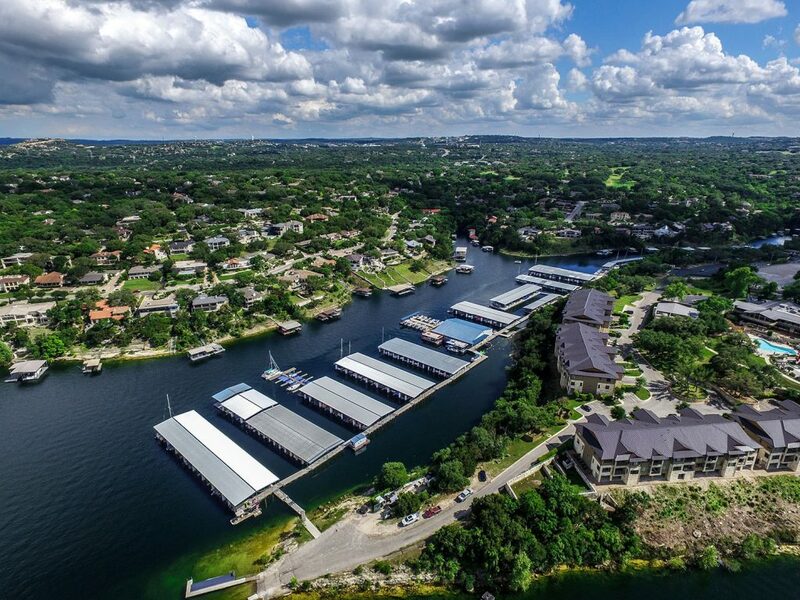 This, in addition to free covered parking and a central location to all of Lake Travis’ many attractions has made Lakeway the perfect addition to Nautical Boat Club’s family of clubs in Austin. The marina is one of the best on the lake, offering a full-service fueling station, a super-equipped ship store, and clean, private bathrooms, as well as a location central to Lake Travis’ many attractions and great restaurants – including The Sundancer Grill, The Gnarly Gar and Ernie’s Dockside. Nautical Boat Club – Lakeway members enjoy year-round private access to state-of-the-art fleet of fully outfitted watercraft – including 2018 Axis A22 tournament boats, a 2019 Cobalt 220 sportboat with waketower, and 2019 Bennington 24SSSBXP tritoons, among many others. Nautical Boat Club® is the only boat club in the U.S. that buys only brand-new boats and turns them over every 2-3 years, so you’re guaranteed to hit the water in the sleekest, shiniest watercraft around! And, as a Lake Travis boat club member, you’ll also enjoy complimentary use of water toys – wakeboards, tubes, skis, you name it – free guest privileges, insurance, maintenance, premium dockside valet service, free covered parking and more, all at one-third the cost of boat ownership! So forget about searching Austin boat sales or researching Lake Travis boat rentals – come feel the freedom of a boat club membership at Nautical Boat Club® at Lakeway!